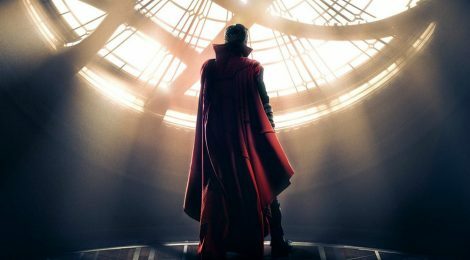 Movie Review - Doctor Strange - Honk if you love justice! I saw the Scott Derrickson-directed Doctor Strange over the weekend, and enjoyed it a lot. It’s not going to unseat any of my favorite MCU movies (currently Iron Man, Winter Soldier, Guardians and Civil War) but it was a fun if familiar tale. I’ll get all the non-spoiler notes out of the way first: the effects are as amazing as advertised, and I can’t wait to go back and see it in 3D. 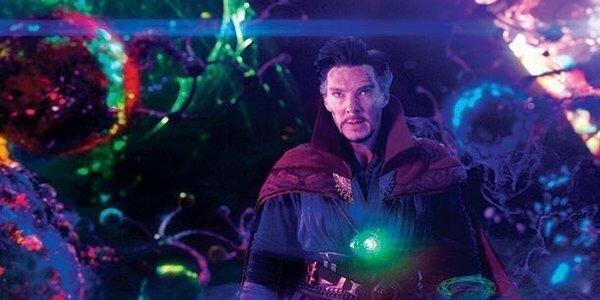 The cast (for all the difficulties with casting a movie from a source so steeped in racial stereotypes) are great as a Marvel movie’s cast usually is, with Benedict Cumberbatch filling Strange’s robes admirably as the arrogant surgeon/distracted driving consequences example. I really liked Chiwetel Ejiofor as Mordo, he’s got such a great delivery of his lines. It’s no surprise why he got to say most of the artifact names. The visuals are simply jaw-dropping. For those who scoffed at the early clips and trailers that mostly showed the city bending as “psh, Inception” that barely scratches the surface. Basically take the visuals of the Quantum Realm in Ant-Man, add a bunch of psychedelic color, and jam the accelerator to the floor. So cool. The thing that I keep thinking about now that I’ve seen the movie is how Strange and the Ancient One are willing to use dark magic (or at the very least deal with the source of it) to do greater good, and how that level of gray morality will play against Captain America and some of the other Avengers in the future. Other than perhaps Black Widow, who has always seemed like a pragmatist, Strange’s willingness to deal with the devil for the greater good sets him apart from Tony Stark, who he’s constantly compared to. Stark has many quirks and faults, but at the end of the day it’s a long trip from working on the government’s side with the accords (and let’s face it, the MCU Civil War had both sides making some sense) to making deals with someone who could be interpreted as an actual devil. This gives me great hope for Baron Mordo to become Phase 4 and beyond’s Loki – a powerful, charismatic enemy more than capable of standing toe to toe with the Avengers. Chiwetel Ejiofor has the acting skills to pull that off and I’d LOVE to see it happen. He needs to appear outside of the Doctor Strange sequel. Marvel does have an issue with making love interests compelling, though I like Rachel McAdams as an actress. Maybe by Infinity War Christine Palmer and Claire Temple can start their own ‘practice’ and be bandaging up the Earth’s heroes. Now that we’ve got the origin story out of the way, I can’t wait to see where Strange goes from here. It seems like we’ll be seeing him at least a little in the next Thor movie, and if he’s anything like the Strange in the comics recently, he’ll be a linchpin character for Marvel moving forward. As much as I love the current roster of characters, more excellent actors to bounce off one another is never bad. ← Comics Twitter is a JERK!